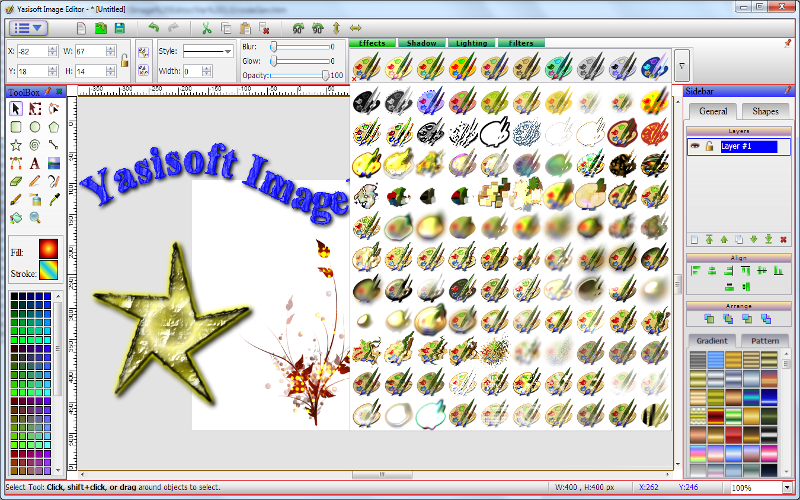 Yasisoft Image Editor is an easy-to-use photo editor and graphics design software. You'll find a complete set of tools in Yasisoft Image Editor: Drawing shapes Tools, Transform Tool, Edit Path Tool, Text Tool, Brush Tool, Spray Tool and so on. All tools and effects are easy to understand and to use.